Five patents were applied on the Urengoy gas-condensate field. Yakushev V.S, Istomin V.A. et al. Unconventional Gas Resources, M. Gazprom, 2007, 207 pp. (in Russian). Istomin, V.A. 1999. Thermodynamics of Natural Gases. М., VNIIGAZ, Moscow, 105 pp. (in Russian). Gritsenko, A.I., Istomin V.A. et al. 1999. Gathering and Condititioning of Gas on the Northern Gas Fields in Russia Moscow, Nedra Publisers, 236 p. (in Russian). A.Istomin and V.S.Yakushev. 1992. Gas Hydrates at Natural Conditions. Moscow, Nedra Publisers, 236 pp. (in Russian). Istomin, V.A. 1990. Prevention and Liquidation of Gas Hydrates in Gas and Oil Systems, VNIIGAZ, Moscow, 214 pp., the first edition (in Russian). Istomin V.A. Kvon V. G. The prevention and Liquidation of gas hydrates in of gas production systems Moscow, IRTs Gazprom, 2004, 506 pp., the second edition (in Russian). Istomin V.A., Stepanov N.F. Zhilinskii B.I. Vibrаtion-Rotation Problem for Triatomic Molecules with Two Nonrigid Coordinates. Spherical Model, – J. Molecular Spectroscopy, v.67, № 1-3, 1977, pp. 265-282. Zhilinskii B.I, Istomin V.A., Stepanov N.F. Vibrаtion-Rotation Hamiltonian for Nonrigid Triatomic Molecules with Diatomic Rigid Core, – Chemical Physics, v. 31, № 3, 1978, pp. 413-423. Istomin V.A. Thermodynamic Models of Gas Hydrate Phase, in: “Structures of Ices and Clathrate Hydrates” (Proc. International Workshop, Sept. 8-10, 1991, Asarigawa-Onsen, Otaru, Japan), Otaru, 1991, pp. 94-99. Istomin V.A. Description of Dynamic Properties of the Gas Hydrates in the Framework of Strick Approaches, in: “Structures of Ices and Clathrate Hydrates” (Proc. International Workshop, Sept. 8-10, 1991, Asarigawa-Onsen, Otaru, Japan), Otaru, 1991, pp. 100-107. Yakushev V.S., Istomin V.A. Gas Hydrates Self-Preservation Effect. In: “Physics and Chemistry of Ice”, ed. by N. Maeno and T.Hondoh, Hokkaido Univ Press, Sapporo, Japan, 1992, pp. 136-140. IstominV.A., Kolushev N.R. Gas Hydrate Phase Equilibria Description using Thermodynamic Models with Guest-Guest Interaction, in: “Physics and Chemistry of Ice”, ed. by N. Maeno and T.Hondoh, Hokkaido Univ Press, Sapporo, Japan, 1992, pp. 117-120. Ershov, E. D., Yu. P. Lebedenko, E. M. Chuvilin, V. A. Istomin, and V. S. Yakushev. 1991. Peculiarities of gas hydrate existence in the permafrost zone. Doklady Akademii Nauk S.S.S.R, v. 321 pp. 788–791. Istomin V.A., Kolushev N.R. Hydrate Control at Russian Northern Gas Field, -in: Proceedings of the 2-nd Int. Offshore and Polar Eng. Conf. San Francisco, USA, 14-19 June, 1992, Vol.1, pp. 684-687, Golden, Colorado, USA, 1992. Suleimanov R.S., Kulkov A.N., Istomin V.A., Yakushev V.S. Improved Technology of Gas Tretment at Urengoy Gas Condensate Field. Proceedings of the 19th World Gas Conference, International Gas Union, Milan, 20-23 June, 1994, report IGU/A2-94, 10 p.
Yakushev V.S., Istomin V.A. and Kolushev N.R., 1994. Near-Surface Natural Gas and Gas Hydrates Accumulations in Permafrost, Russia. Proceedings of the AAPG Hedberg Research Conference “Near-Surface Expressions of Hydrocarbon Migration”, April 24-28, 1994, Vancouver, British Columbia, Canada. Yakushev V.S., Dubrovski D.A., Chuvilin E.M., Istomin V.A., Kvon V.G. Submarine Natural Gas Hydrates: Risk to Gas and Oil Production, In: Preprints of the 1995 International Gas Research Conf. (Cannes, France, 6-9 Nov., 1995), vol.II “Exploration and Production”, pp. 171-177. Istomin V.A., Kolushev N.R. Phase Equilibria of Gas Hydrates at Low temperatures, in: “Solar System Ices”, An International symposium, Аbstracts of invited and contributed papers, 27-30 March 1995, Toulouse, France, p.59. Istomin, V., Kwon, V., Kolushev, N., & Kulkov, A. (1996). Prevention of gas hydrate formation at field Conditions in Russia, – in: Proceedings of 2-nd Int. Conf. on Natural Gas Hydrates (June 2-6, 1996, Toulouse, France), Toulouse, pp. 399-406. Istomin V.A., Yakushev V.S. Gas Hydrates in Russia: Meeting the Challenge, in: “Gas in the CIS”, 1996, pp. 56-58. Istomin V.A., Lanchakov G.A., Kulkov A.N. Efimov Yu.N. Natural Gas Treatment: Improved Glycol Dehydration Process with Several temperature Levels, 20th World Gas Conference Proceedings, International Gas Union, Copenhagen, 1997, 10 p., report AP-01. Istomin V.A. Gas Hydrates: Fundamental and Technological Aspects, in: “AIST Workshop on Fundamental Properties, Resources and Engineering Applications of Gas Hydrates”, November 27-28, Sapporo, Japan, 1997, pp. 69-71. Istomin V.A. Simple Methods for Calculations of Phase Equilibria, Physical and Chemical Properties of Gas Hydrates, in “Proceedings of the International Symposium on Methane Hydrates Resources in the Near Future” (Gas Hydrate Conference in Japan, October,20-22, 1998, JNOC-TRC, Chiba City, Japan), pp. 247-252, 1998. Istomin V.A. Real gas isentropic indexes and their use in thermodynamics of gases and gas dynamics, Russian J. Phys. Chem. 1998, v. 72, Noo3, pp. 334-339. Istomin V.A. Generalized Isoentropic Exponent for Real Gases, High Temperature, 1998, v. 36, No 5, pp. 708-715. Istomin V.A. On Possibilities of superheatings of natural gas hydrates and other water crystalline structures,- Russian Journal of Physical Chemistry, v. 73, No. 11, 1999, pp. 1887-1890. .Skorobogatov V.A, Istomin V.A., Yakushev V.S.. Conventional and Unconventional Natural gas Resources in Russia and Strategy of Their Development in the First Half of the 21st Century. Proceedings of the 21st World Gas Conference, 6-9 June, 2000, Nice, France, paper P-101 in CD-ROM. Derevyagin A.M., Seleznev S.V., Istomin V.A. A novel approach for studing two phase equilibria of gas hydrates / VIII International Seminar on Inclusion Compounds (ISIC-8), Warsaw (Popowo), Poland, Sept 105, 2001, Program and Abstracts, p.T8-04. Istomin V.A. Metastability in the Processes of Gas Hydrates Formation and Dissociation / VIII International Seminar on inclusion compounds (ISIC-8), Warsaw (Popowo), Poland, Sept 105, 2001, Program and Abstracts, p.T5-02. Lipenkov V.Ya., Istomin V.А. On the stability of Air clathrate-hydrate crystals in subglacial lake Vostok, Antarctica. Mater. Glyatsiol. Issled., No 91, 2001, pp. 138-149. Lipenkov V., Istomin V., Bulat S., Raynaud D., Petit J.R. An estimate of the dissolved oxygen concentration in subglacial Lake Vostok. – EOS, Transactions AGU, vol. 83, N 19, 2002, Spring Meeting Suppl., Abstract B21A-06, pp.S87-88. Uchida T., Takeya S., Chuvilin E.M., Ohmura R., Nagao J., Yakushev V.S., Istomin V.A., Minagawa H., Ebinuma T., Narita H.: Decomposition of methane hydrates in sand, sandstone, clays, and glass beads, – J. Geophys. Res., William Byrd Press for John Hopkins Press (United States),v. 109, 2004, B05206, pp. 1-12. Submarine gas hydrate deposits: from genesis, geology to pecularities of gas production and treatment (co-authors Yakushev V.S., Istomin V.A., Perlova E.V., Leonov S.A.) Proceedings of 5th International Conference on Gas Hydrates, v. 3 (exploration, resources and environment), Trondheim, Norway, 2005, pp. 771-776. Classification of gas hydrate deposits as important step to natural gas production from hydrates (co-authors Yakushev V.S., Istomin V.A., Perlova E.V.). Proceedings of 5th International Conference on Gas Hydrates, v. 3 (exploration, resources and environment), Trondheim, Norway, 2005, pp. 812-817. Istomin V.A., Kwon V.G., Durov V.A. Metastable states of gas hydrates, – Gas Industry of Russia, Digest No 4, 2006, pp. 13-16. Istomin V.A., Yakushev V.S., Kwon V.G., Makhonina N.A., Chuvilin E.M. Self-preservation phenomenon of gas hydrates, – Gas Industry of Russia, Digest No 4, 2006 , pp. 16-27. Chuvilin E.M., Petrakova S., Gureva O. Istomin V. Formation of Carbon Dioxide Gas Hydrate in freezing sediments and decomposition kinetics, -11th Int. Conf. on the Phys. Chem. Ice (PCI-2006), pp. 195-197, Bremerhaven, Germany 23-28 July, 2006, eds. F. Wilhelms and W.F. Kuhs (Publ. Ber. Polarforsch Meeresfotsch No 549, 2007). Chuvilin E.M., Gureva O.M., Istomin V.A. Experimental studing of CO2 Hydrate Formation in Sediments at liquid CO2 disposal in Sub-permafrost Layers, – Proceedings of the Int. Conf. on Gas Hydrate: Energy, Climate and Environment, Oct. 4-5, 2007, National Taiwan Univ., Taipei, Taiwan, pp. 126-131. Stoyar N.F., Lykov A.G., Smirnov V.A., Derevyagin A.V., Seleznev S.V., Istomin V.A. Automatic Control of the hydrocarbon dew point and heavy hydrocarbon contents in natural gas by laser-interference method, World Gas Conf., 2009, Argentina, 8 pp. Istomin V.A., Kwon V.G., Rodger P.M. Aspect of gas hydrates decomposition kinetics and their enviromental impacts, – Gas Industry of Russia, Digest No 1 (13), 2009, pp. 21-27. Istomin V.A., Kvon V.G., Chuvilin E.M., Nesterov A.N. Decomposition Kinetics of the gas hydrate and enviriomental ecology, Geophys. Res. Abst., v. 11, EGU2009-6681, April 2009, Vienna. Guryeva O.M., Chuvilin E.M., Moudrakovski I., Lu H., Ripmeester J., Istomin V.A. Peculiarities of CO2 sequestration in the permafrost area / International conference of European Geoscience Union, -v. 12, , 2010, p. 5379. Mel’nokov V.P., Nesterov A.N., Reshetnikov A.V., Istomin V.A., Kwon V.G. Stability and growth of Gas Hydrates below the ice-hydrate-gas-equilibrium line on the P-T- phase diagram, – Chem. Eng. Sci., v. 65, 2010, pp. 906-914. Istomin V.A., Kvon V.G., Chuvilin E.V., Nesterov A.N. Metastability in Gas Hydrate Systems, Int Conf., Minerals of the Ocean-5, Abstracts, -Peterburg, p. 114, June-July 2010. Balakin B.V. Hoffman A.C., Kosinski P., Istomin V.A., Chuvilin E.M. Combined CFD/Population Balance Models for Gas Hydrate Particle Size Prediction in Turbulent Pipeline Flow, AIP Conf., Proceedings 1281, pp. 151-154, 2010. Mel’nokov V.P., Nesterov A.N., Reshetnikov A.V., Istomin V.A. Metastable states during dissociation of carbon dioxide hydrates below 273 K, – Chem. Eng. Sci., v. 66, 2011, pp. 73-77. Hachikubo A., Takeya S., Chuvilin E., Istomin V. Preservation phenomena of methane hydrate in pore spaces, – Phys. Chem. Chem.Phys, v.13, 2011, pp. 17449-17452. Chuvilin E.V., Istomin V.A., Safonov S.S. Residual nonclathrated water in sediments in equilibrium with gas hydrate. Comparison with unfrozen water, – Colds Region Science and Technology, v.68, 2011, pp. 68-73. Istomin V.A., Kvon V.G., Dolgaev S.I., Nesterov A., Reshetnikov A., Chuvilin E., Metastability in gas hydrates formation and decomposition, // Proceedings of the 7th International Conference on Gas Hydrates (ICGH 2011), Edinburgh, Scotland, United Kingdom, July 17-21, 2011; 11 p.
Chuvilin E.M., Buhanov B.A., Guryeva O.M., Istomin V.A., Takeya S., Hachikubo A Experimental study of self-preservation mechanisms during gas hydrate decomposition in frozen sediments // Proceedings of the 7th International Conference on Gas Hydrates, Edinburgh, United Kingdom, July 17-21, 2011, 11 p.
Hachikubo A., Takeya S., Chuvilin E., Istomin V. Calorimetric and power X-ray diffraction studies on dissociation of methane hydrate in porous media, in. : Proceedings of 12th International Conference on the Physics and Chemistry of Ice, (Hokkaido Sept, 2010), pp. 197-202. Takeya S., Fujihisa H., Gotoh Y., Istomin V., Chuvilin E., Sakagami H., Hachikubo A. Methane Clathrate Hydrates Formed within Hydrophilic and Hydrophobic Media: Kinetics of Dissociation and Distortion of Host Structure, – J. Physical Chemistry C, American Chemical Society (United States), v. 117, No 14, 2013, pp. 7081-7085. Development and application of resource-saving technological processes on gas production (a construction of wells in a permafrost zone, gas-gathering systems, gas and gas-condensate treatments at northern fields of Russia, optimization of hydrate inhibitor technology, bottom hole zone). Applied thermodynamics and hydrodynamics (thermodynamics of a bottom hole zone, not isothermal gas filtration, phase equilibria of hydrocarbon systems, thermodynamics and kinetics of gas hydrate formation and decomposition). Scientific bases of new devices for natural gas quality and metering. Nonconventional sources of hydrocarbons as a future of world energy resources. Participates in projects of the gas and gas-condensate fields of Russia (West Siberia and Yamal peninsula). Head of the recent scientific projects concerning senon-turon deposits of Western Siberia, gas-condensate fields of East Siberia (Chayandinskoye and Kovytkinskoye). 2013 up to now – Well Testing Interpretation, Thermodynamics of Bottom Hole Zone at East Siberian Fields. 1984 up to now – Gas Gathering and Gas Treatment Systems in West Siberia’s Gas and Gas-Condensate Fields, including gas Hydrate Control, Flow Assurance, Technological Schemes (Yamburg, Urengoy fields, etc.). 1987 – 1989 – Thermophysics Study on Yamburg Gas Filed Permafrost Drill Cores (West Siberia). 1980 – 1981 – Thermophysics Study on Bovanenkovo Gas Filed Permafrost Drill Cores (West Siberia). 1978 – 1982 – Gas Wells Study at Permafrost Zone on Mastakh Gas-Condensate Filed (East Siberia, Sakha Republic). Professor Diploma of Russian Highest Certifying Commission – 2006. Prize and Silver Medal Russian Academy of Mines – 2002. 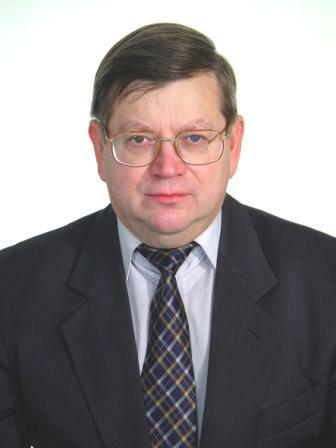 Honorary Researcher of Russian Gas Industry – 2001. Two Silver Medals of Russian Industry and Agricultural Achieverments Exhibition – 1980, 1982.